British Corner Shop: top 5 British foodie favourites that expats just can’t live without. At British Corner Shop, we know living overseas requires some adjustment and adaptation. However, although there are many aspects of British life that will be missed, it is food that’s often discussed most when expats are feeling a little homesick. So, we have created a list of the top 5 British foodie favourites that expats just can’t live without. Love it or hate it, you will always end up missing it! We’ve heard through the grapevine New Zealand now have their own version of Marmite, but nothing beats the original – especially when it’s spread generously on top of a thick slice of freshly made toast! First produced in 1902, the Marmite of today takes great pride in being the most equally loved and hated British product there is! This large jar will keep even the most addicted Marmite lover happy for at least a few weeks. Reveling in its ability to divide a nation, this yeast-based extract is - to some people, at least - an irresistible spread, perfect on toast but also a great addition to a cheese sandwich, chicken sandwich, tuna sandwich... the list goes on. 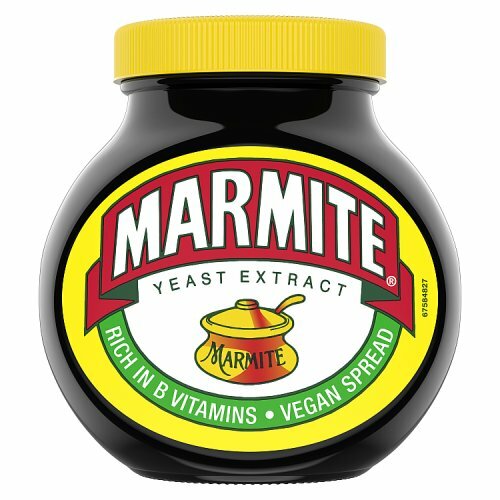 In addition to yeast, Marmite contains a perfect mixture of vitamins, vegetables and spices, all of which combine for that controversial taste. Please note that we do not sell Marmite products to Australia or New Zealand. Branston Pickle first blessed Britain’s food cupboards with its presence back in 1922, and it’s now the country’s leading brand of pickle. Since its creation, it has been used to bring life to millions of cheese sandwiches across the country but can also be used as an accompaniment to a classic Ploughman’s lunch, or to spice up a traditional Shepherd’s Pie. 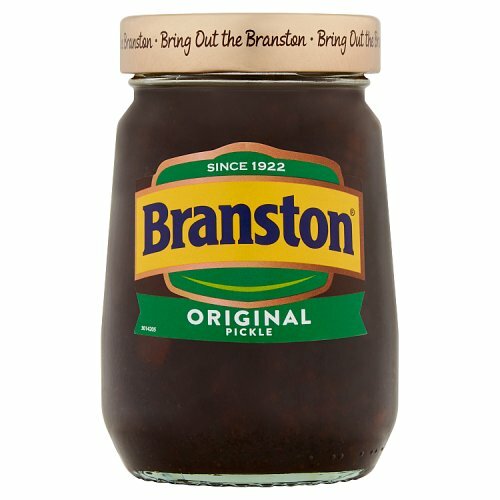 Branston Pickle is the undisputed leading brand of British pickle. The first jar was made in 1922, and since then, it has been used to bring to life millions of cheese sandwiches and ploughmans lunches. Branston Pickle boasts a delicious and instantly recognisable mixture of spice, sweetness and crunch that has made it the official favourite of a nation. Us Brits are known to love a crumpet first thing on a Saturday morning, either slathered in butter or Marmite – but let’s be honest, crumpets are an acceptable snack to eat any time of the day. Simply pop under the grill, add a generous layer of butter (making sure to leave it long enough for the butter to soak into the little holes) and enjoy! 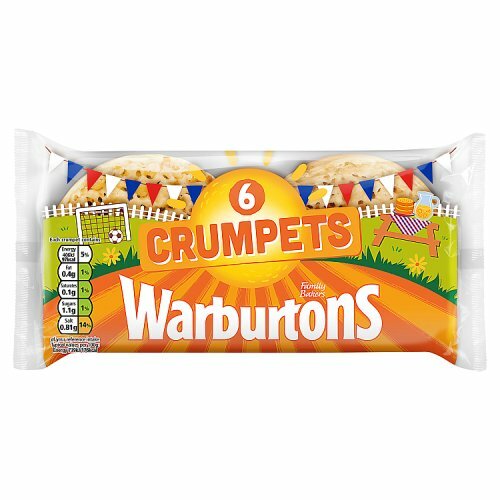 This 6 pack of Warburtons Crumpets provides a perfect toasted snack for all the family. Ideal for breakfast, crumpets are also a delicious and warming teatime option, especially alongside a nice cup of tea. Simply toast the crumpets and then add butter, allowing it to soak into the holes and make the crumpet lovely and moist. You can also add jam, marmalade, honey, even cheese, depending on your preference. 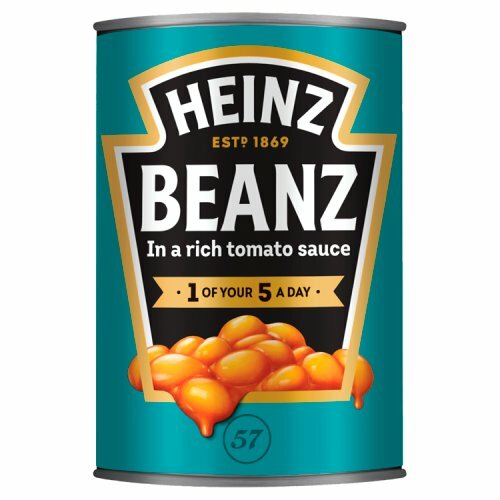 Heinz Baked Beans in tomato sauce are one of the best-loved food products in the world, and we can see why! Full of fibre, virtually fat-free and low in sugar – beans are a healthy, delicious and easy to prepare option for breakfast lunch or dinner. I mean we’ve all had cheesy beans on toast, right? McVities Chocolate Hob Nobs has been one of Britain’s favourite biscuits since 1984, and due to their top performance when it comes to dunking, Hob Nobs can be found in almost every Brits Kitchen cupboard. Be warned though, these delicious crumbly biscuits are incredibly moreish, so once you’ve opened the pack there’s no going back! McVities Hob Nobs are delicious, rustic oat-based biscuits containing no artificial flavours or colours. Perfect with a cup of tea, they are extremely moreish – so be careful not to eat too many once you’ve opened a packet! 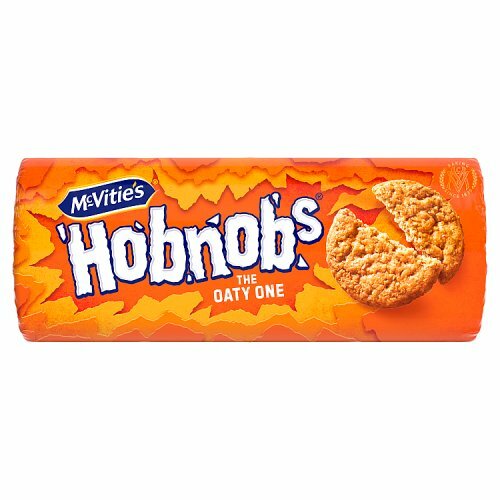 A relative newcomer to the world of biscuits, the McVities Hob Nob has become hugely popular since its launch in the mid-1980s – so much so that it is now worthy of mentioning in the same breath as McVities’ most famous biscuit the Digestive. Copyright © British Corner Shop Ltd.1999 - 2018, All rights reserved.